Legendary ex-Helloween team, Michael Kiske and Kai Hansen, along with Pink Cream 69 accomplice, Dennis Ward, are back at the game called rock with a new project named Unisonic. Their debut, cleverly sharing the same name, pokes fun at Kiske and Hansen’s time in Helloween, but never awakens the power metal beast that emerged when the two unknowingly influenced thousands of bands. Conventional for the subgenre were soaring choruses, floating melodies, and harmonized leads--and, for Unisonic, most of that sticks, but the change is with the inclusion of poppy chorus hooks and hard rock-type songwriting. Nevertheless, Helloween’s softer Euro-based power metal sound, an alternative to the thrashier U.S. aesthetic, has always been about catchiness, so perhaps the existing direction is less surprising. Despite a quasi-Helloween reunion, Unisonic falls short because it lacks the clout expected from the team primarily responsible for the Keeper pair. Indeed, Unisonic are not Helloween, and the pounding double bass, breakneck guitar riffs, and innovativeness associated with early power metal, are missing from the fold. Unsurprisingly, the change in sound can be attributed to three members of Pink Cream 69, who at one time dabbled in the lighter side of hard rock, in addition to a former member of Krokus, all calling the band home. In opposition, Kiske and Hansen struggle to keep the metal torch lit with the only reminders of their presence vocals, hot guitar solos, and the occasional power-like tidbit. If taken as a smite to the benchmark created by Helloween, Unisonic will turn heads and alienate listeners. But if accepted as a fun, hard-rocking album full of derivative party music, the record becomes a less intrusive take on power metal. When the generic tracks are overlooked, the album certainly has its merits--especially the first two compositions, as well as “We Rise”--though the rest unfortunately hang outside realms of metal and bridge the gap between pop and hard rock. The closer, “No One Ever Sees Me,” is notorious even among this collection of music because it treads thin ice as an acoustic ballad. The remaining fade into the background as a safe bet for accessibility and are a decent attempt to capture a broader audience, which may be what the band, as a whole, aimed for. 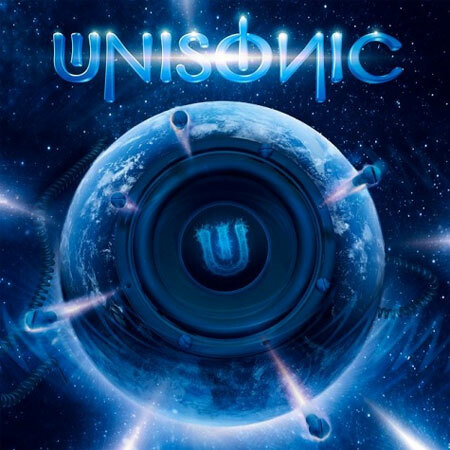 In the end, though, Unisonic is a solid effort if approached with an open mind. For those wanting vintage Helloween, throwbacks can be found scattered throughout the record’s track listing, but, for the most part, the album doesn’t procure the same sort of music. 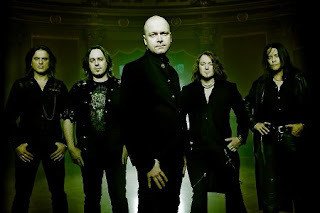 For those wanting a good time with what will likely have memorable songwriting, Unisonic is highly recommended, specifically as a gateway to authentic power metal.